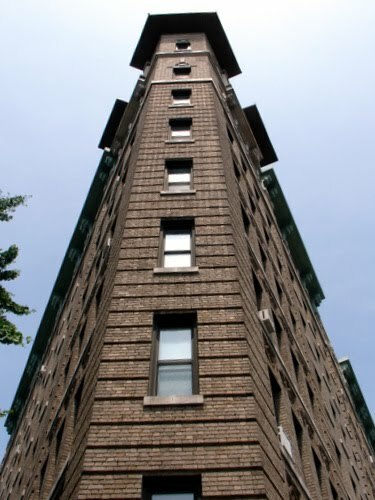 The residents of the Grinnell, a land-marked cooperative apartment house at 800 Riverside Drive in the Audubon Park Historic District, will begin a year-long celebration of their building’s centennial on June 10, 2010. Heralding the festivities is the launch of http://www.TheGrinnellat100.com, a website combining oral history, media clips, historical essays, and images spanning the building’s 100-year history. The year’s events will also include centennial logo and photography competitions, exhibitions in the Grinnell’s community room, apartment tours, a gardening project, and a birthday party. A calendar of events is available on the website. 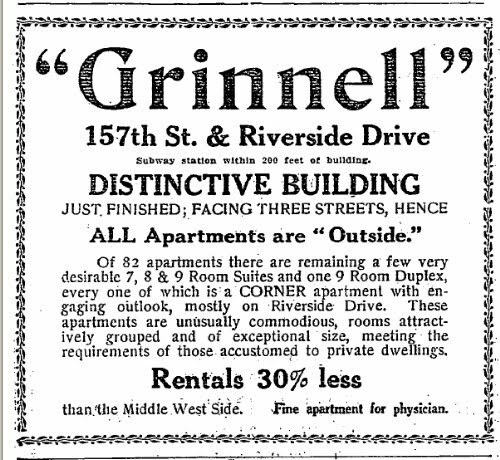 Like neighboring apartment buildings, the Grinnell lured the prosperous middle-class uptown with amenities such as uniformed staff, spacious apartments “adapted to those accustomed to private houses,” enameled woodwork and paneled dining rooms, and proximity to the subway (“only 200 feet”) – all at prices “30% less than the Middle West Side.” Built around an airy courtyard, The Grinnell remained a fashionable building through the Great Depression, usually fully occupied. 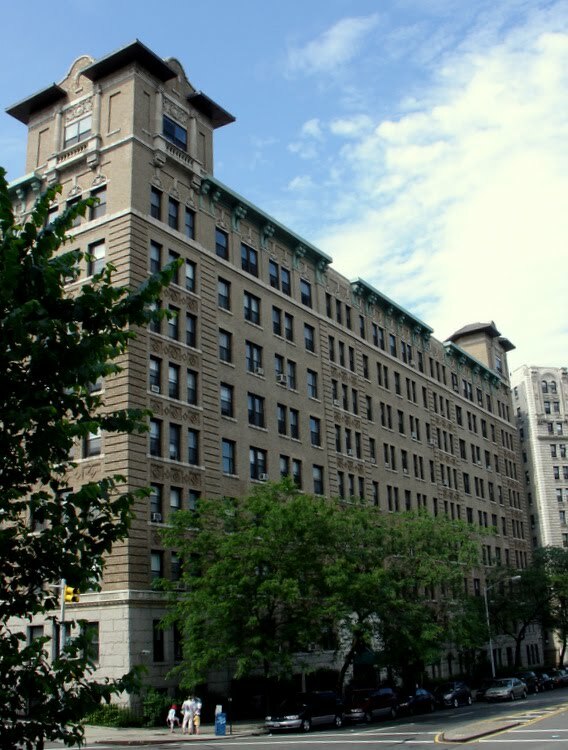 In the late 1940s, the Evangelist Daddy Grace bought the Grinnell, considering it and the Eldorado on Central Park West the prime properties in his real estate portfolio. Both were part of his estate when he died in 1960. Although Daddy Grace reputedly refused to integrate his properties, the actress, playwright, and author Alice Childress lived at the Grinnell from the 1950s into the 1970s, though in the ‘50s, she was certainly an exception, rather than the rule. During the 1970s, the Grinnell suffered landlord neglect as did many apartment buildings in Manhattan. Grinnell tenants organized and demanded better services, eventually resorting to a rent strike to force the owner into providing basic amenities such as heat and hot water. When the landlord abandoned the Grinnell, owing large tax and utility bills, the residents began the arduous process of assuming management of the building, eventually buying it from New York City in 1982. The resulting co-op became The Grinnell, HDFC (Housing Development Finance Corporation). 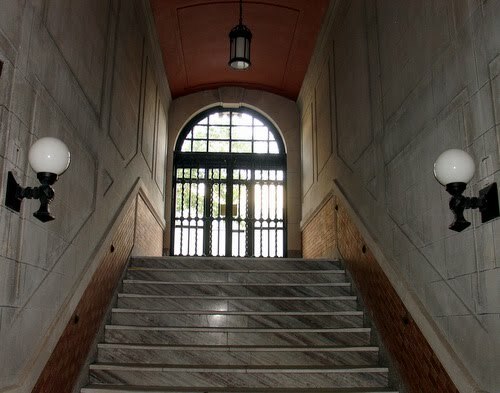 In the ensuing three decades, determined boards of directors and dedicated residents revived what was virtually a dead building, replacing and upgrading building systems and restoring common areas to their original beauty. Individual co-op shareholders have restored their apartments, improving their personal investments as well as the co-op’s financial health. The centennial events will celebrate these achievements as well as the diversity of the Grinnell’s population. From a homogenous population at the beginning of the 20th Century, the Grinnell has progressed to a multi-cultural, multi-ethnic population mirroring the city around it. A theme running through the centennial celebration is the Grinnell’s place in its community. Grinnell residents actively supported the Audubon Park Historic District effort and are the first private participants in the Heritage Rose District of New York City, a project sponsored by Borough President Scott Stringer’s office. During the centennial year, the Grinnell garden committee will increase its heritage rose collection to thirty bushes, all of them fully visible to the neighborhood, and will dedicate its Heritage Rose Garden in June 2011. An exhibition in September 2010, “The Ground beneath Our Feet,” will trace the close ties between the Grinnell and land surrounding it. A photo competition and exhibition in February 2011 will focus on the Grinnell’s neighbors; submissions must be views of the neighborhood as seen from the Grinnell’s windows. All events, including the Grinnell’s birthday party on October 17, 2010, will be open to the public. A calendar of events is available on the website http://www.TheGrinnellat100.com. For further information, contact info@TheGrinnellat100.com. 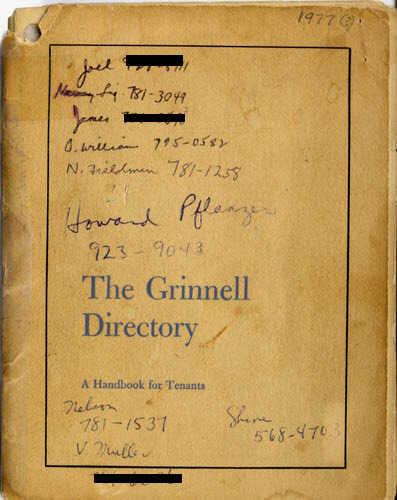 The centennial website (http://www.thegrinnellat100.com/) includes photos, oral history, and pieces of Grinnell ephemera such as the Grinnell directory from 1970, published by the the tenants association, and the apartment advertisement from 1911, the first year the building was open…and much, much more! Posted in 800 Riverside Drive, Audubon Park Historic District, centennial celebration, co-op, landmarked building, real estate, The Grinnell HDFC, Washington Heights. Bookmark the permalink.